Rediscover Complete Hearing with Beltone Trust! Beltone is proud to offer our newest technology in a wide range of styles and sizes with Beltone Trust™. 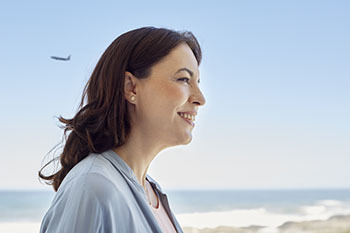 These exceptional digital hearing aids offer unrivaled sound quality combined with convenience and adaptability, allowing you to enjoy the best hearing experience possible. Beltone Trust™ is built around two groundbreaking features that more accurately mimic how our ears comprehend sound and communicate with our brain. The result is that you are able to hear in a more natural manner. Restores the natural sound level balance and differences between your ears, granting you the ability to accurately hear where sounds originate. Monitors the environment and incoming sounds to automatically adjust to the most natural speech settings, helping you better recognize voices and from where they are coming. This greatly improves your ability to process and clearly hear speech, which can be a struggle when someone is trying to speak to you from the side or from behind. Beltone Trust™ hearing aids adapt to your environment, delivering a superior level of hearing quality in a large variety of situations. Adjusts the volume of the Beltone Trust™ automatically to produce optimal sound quality, even if you are in a busy restaurant or crowded event. Detects and eliminates feedback, removing the annoying whistles and noises that can occur with many hearing aids. Allows for a pleasant transition from one type of environment to another, making the change from a quiet situation to noisy surroundings smoother than ever. 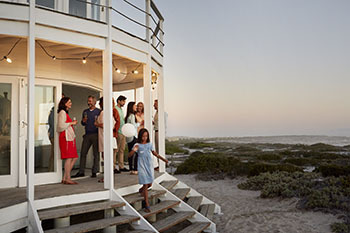 Beltone Trust™ hearing aids utilize environmentally-friendly ZPower batteries, allowing you to enjoy extraordinary sound quality all day on a single charge. ZPower batteries are the latest in rechargeable battery technology, capable of fast-charging in only 2-4 hours at night and maintaining their quality for up to one year! When you prefer to adjust your hearing aids yourself, Beltone Trust™ hearing aids allow you to do so quickly and discreetly. 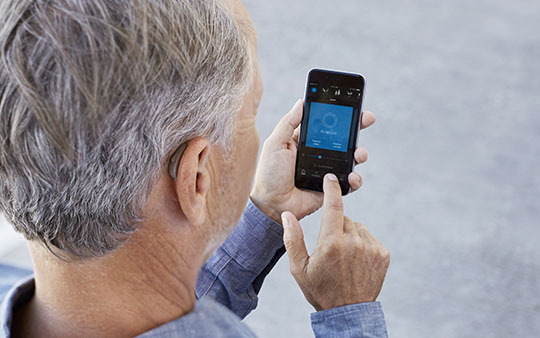 The latest in app functionality allows you to take control of your hearing aids with your smartphone. The app is compatible with both Apple and Android devices and lets you control the volume, listening programs, and much more with ease. Stream phone calls, GPS voice directions, music, and more wirelessly without needing an extra adapter or device! Beltone Trust™ hearing aids maximize your comfort and style with your choice of Behind-the-Ear and Receiver-in-the-Ear models in a range of colors. The digital receivers remain virtually invisible and are designed to last with HPF NanoBlock coating to repel moisture and dirt, as well as Wind Noise Reduction to maintain clear sound even during breezy days. The first step in finding out which Beltone models are best for your unique hearing loss is to schedule a free hearing evaluation. Our friendly and informative hearing experts will help you through the entire process and show you which options and features will be most beneficial for your hearing needs. Call (888) 485-5452 and let us schedule your comprehensive hearing test, or you can fill out our online form to contact us for more information.